Second in our set of Draft class Reviews. First was the 2016 class. My historical list of Nats prospect rankings, updated for all 2016 mid-season rankings. Round 1: forfeited by virtue of the Max Scherzer signing. Would have been the 26th pick overall, which ended up being Taylor Ward, a C from Fresno State. Ward stepped back a bit in 2016, losing nearly 300 points off his OPS in High-A, but is still listed as the Angel’s #3 prospect. Round 2: Andrew Stevenson, OF (CF). COL jr from Louisiana State. Slashed .276/.332/.374 across 2 levels, spending three months in Potomac and then finishing the season in Harrisburg. 95/44 K/BB ratio, 3 homers and 39SBs in 529 ABs. He was also named an All-star for Potomac this year and was the MVP of the Carolina-California League all-star game. Two years in the system and two multi-level promotions for Stevenson. Clearly he profiles as a “speedy leadoff-center fielder” type, so you’d like to see his overall OBP improve. You’d like to see fewer strikeouts too. Otherwise, its hard to quibble. He’s also starting to get some notice on prospect rankings; last year he was generally in the 10-14 range for our system. Now I’m seeing him ranked in the 6-10 range. He’s taken his talents to the Arizona Fall League, where i’m curious to see how he fares against top-end AA/AAA competition. Maybe our long term CF solution is in-house after all. Post-Writing update: Stevenson lit up the AFL, hitting north of .350 and being named by MLB.com as being a breakout star. Trending up. Round 2: Blake Perkins, OF (CF) from Verrado HS, Buckeye, Ariz. Slashed .233/.318/.281 for Auburn this year before spending the last week in Hagerstown (part of the typical 9/1 cascading minor league roster shuffle), with 39/25 K/BB in 210 ABs. 1HR, 10SB. Another player who (like Stevenson) is a “Leadoff-CF” type (for Auburn he only played CF and only lead-off). As we learned last year, he’s learning switch hitting and its showing in his stat line; as a righty against lefties he slashed .306/.343/.355, but as a lefty against righties he slashed only .203/.308/.250. Ugh. I wonder if the team, which asked him to learn switch hitting even before they drafted him, will eventually just let him focus on his strengths. His overall batting line continues to depress his prospect value; he’s generally ranked somewhere in the 16-21 range for the system right now after being in the 10-12 range after his drafting. I’ll say Trending steady since his RH split is so good and he may just eventually go back to it full time. Round 3: Rhett Wiseman, OF (corner), COL jr from Vanderbilt. Slashed .255/.325/.410 in a full season in Low-A with 104/42 K/BB in 478ABs. 13 homers, 19 SBs. Wiseman played exclusively RF and was mostly the clean-up hitter for Hagerstown and had a solid season, but not without some red-flags. 104 Ks in 478Abs isn’t like 30% awful, but its getting up there. He did have a nice balance of homers and Stolen Bases; if you’ve ever seen Hagerstown’s stadium you’ll know it isn’t the easiest place to hit (indeed; his away split shows an OPS figure 140 points higher than at home). He only hit .198 against lefties, exhibiting a typical failing of a lot of lefty power hitters. I’m going with Trending steady and would like to see how he does in more of a hitter’s park. Round 5: Taylor Hearn, LHP (reliever) COL jr from Oklahoma Baptist. Was 1-0 with a 3.18 ERA for Hagerstown this year when he got traded to Pittsburgh (along with Felipe Rivero) in the Mark Melancon deal. For Pittsburgh’s low-A team he’s continued to be solid, posting a 1.99 ERA with 36Ks in 22 innings for their low-A team. I know we had some seller’s lament about parting ways with both Rivero and Hearn, especially when a few weeks later the team had to trade a decent hitting prospect to acquire 5 weeks worth of a veteran lefty. But you have to give up players to get players, right? Out of the Organization. Round 6: Matt Crownover, LHP (starter) COL jr. from Clemson. Posted a 9-5 record with a 3.36 ERA across two levels this year 110/42 K/BB in 128 2/3 IP combined. For Potomac specifically; 4-4, 4.28 ERA, 1.45 whip, 4.48 fip, .317 babip. Crownover quickly showed he was too good for Low-A (1.17 ERA his first two months there) and then settled into Potomac’s rotation for the rest of the year. He wasn’t as lights out in Potomac but was solid. He nearly led Potomac in starts and was part of their post-season rotation (where he pitched into the seventh and gave up just one earned run but took the loss in the season finale). I could see him starting next year in Potomac with an eye towards jumping up to AA similarly to the way he split time this year. Trending Up. Round 7: Grant Borne, LHP (starter/reliever) COL jr from Nicholls State. Went 5-2 with a 3.34 ERA in a full season at Hagerstown. 46/11 K/BB in 59 1/3 innings of mostly long relief. 1.20 whip, 3.15 fip, .307 babip. Borne didn’t make the rotation in Hagerstown but seemed to stay on somewhat of a starter’s schedule, throwing every 4th or 5th day for 2-3 innings at a clip. All his numbers improved over what they were in Short-A last year, which is great for a guy jumping to full season ball. A couple of bad outings in August spoiled his numbers; otherwise his month by month splits all were pretty solid. I see no reason for him not to serve as a spot-starter in Potomac next year. Trending Up. Round 8: Koda Glover, RHP (reliever) COL sr from Oklahoma State. Was 3-1 with a 2.25 ERA combined across three minor league levels, resulting with a call-up to the Majors on 7/20/16. In DC he posted a 5.03 ERA in 19 innings and was left off the post-season roster in favor of a third lefty (due to who the Nats were playing most-likely), but that did nothing to diminish what an amazing rise he had in 2016. To go from High-A to pitching 7th and 8th innings in high-leverage games inside of 5 months is amazing. His outlook for 2017 is repeating as a 7th inning RHP in the MLB bullpen with a future eye perhaps on closing for this team if he can prove himself reliable enough. Matriculated to the Majors. Round 9: David Kerian, 1b COL sr from Illinois. Slashed just .144/.186/.226 while repeating Short A. 31/7 K/BB with 1 homer. 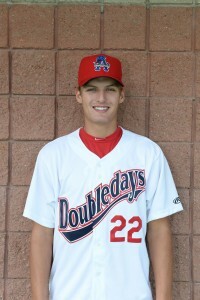 Kerian failed to make the Hagerstown squad out of spring training and then struggled mightily while repeating Short-A. I’m surprised he hasn’t been released already. He was a long-shot to contribute after being a senior sign/low bonus guy and he seems destined for a release soon. Trending Down. Post publishing update: Kerian was released on 12/15/16, fulfilling my guesses on his disposition unfortunately. Round 10: Taylor Guilbeau, LHP (starter) COL sr from Alabama. 5-2 with a 3.61 ERA in a full season in Hagerstown. 99/27 K/BB in 107 1/3 innings split between starting and relieving. 1.43 whip, 3.15 fip, .360 babip. Guilbeau didn’t make the Hagerstown roster out of spring training, but settled into the rotation for the beginning of the 2nd half and stayed there the rest of the way. As a starter his ERA was 3 points better than as a reliever (2.55 versus 5.36), and he looks like a very solid lefty starter. His performance is even more impressive considering his dim draft pedigree; like Kerian above him he was a senior sign for limited dollars. If he turns out to be successful the Nats front office should really do something nice for the area scout. Trending up. Round 11: Andrew Lee, RHP (starter) COL jr from Tennessee. Was 2-2 with a 3.71 ERA in Hagerstown. 46/18 K/BB in 51 innings. 1.24 whip, 3.15 fip, .308 BABIP. Lee was the opening day starter for Hagerstown after having finished there in 2015, had 11 solid starts and then hit the D/L on 6/7/16, remaining there for the duration of the season. I could not find much detail on his injury. He was trending pretty well though; solid K ratios and a good FIP. Trending steady thanks to the unknown injury, otherwise i’d say Trending up again. Round 12: Tommy Peterson RHP (reliever) COL jr from South Florida. Went 4-2 with a 2.64ERA bouncing between Hagerstown and Potomac. 56/14 K/BB in 58 relief innings, with very solid FIP and BABIP numbers in Hagerstown but not so much in Potomac. For Hagerstown he was an effective closer; for Potomac he was used more as a setup guy. He struggled with the jump to High-A and seems like to try it again from the on-set next year. Trending steady. Round 13: Max Schrock, 2B COL jr from South Carolina. Had an OPS north of .800 for both Hagerstown and Potomac before getting flipped to Oakland in late August for Marc Rzepczynski. Oakland quickly put him to AA where he hit well and now is in the AFL. He’s the most polarizing Nats prospect I can think of since perhaps Brad Peacock or Billy Burns. Schrock was paid like a 4th rounder in terms of bonus money and never failed to hit at any level, so we shouldn’t necessarily think of him as the equivalent of a 13th rounder. The knock on him is his size; he’s just 5’8″ in a sport that calls anyone under 6′ “short.” Nonetheless, he was a high price to pay for 5 weeks of a veteran lefty, and we’ve had no shortage of arguments here about the trade, what led to its necessity, and the price we paid for Rzepczynski. We’ll just have to “Trust in Rizzo” again and hope we don’t get burned on Schrock. Out of the Organization. Round 14: Mack Lemieux LHP (starter) from Jupiter Community HS (FL): did not sign. At the time of his drafting we thought he was heading to Florida Atlantic University (FAU). Instead, he headed to JuCo (Palm Beach State in Florida) and was Arizona’s 6th round pick this year. He split time between Rookie and Short-A ball in his age-19 season and performed well. Round 15: Kevin Mooney, RHP (reliver) COL jr from UofMaryland. 0-2 with a 3.33 ERA while repeating Short-A. 19/11 K/BB in 24 1/3 innings. 1.19 whip, 3.69 fip, .257 babip. Despite repeating the level, he improved markedly from last year (shaving 2 points off his ERA). He should have earned his way to a full-season reliever job in 2017. Trending Steady. Round 16: Ian Sagdal, SS COL sr from Washington State U. Slashed .303/.362/.474 in a full season with Hagerstown with 90/36 K/BB in 409 ABs. 10 homers, 6SB. Sagdal was listed as the “DH” but played like a corner-utility guy, jumping around and playing some 1B, some LF, some 2B (he was drafted as a SS but his 6’3″ frame clearly can’t handle the position defensively). Its hard to argue against a .300 hitter with power though, so lets see what he can do next year against better competition. He has definitely improved his standing since last year (when he hit just .235 in Auburn). Trending Steady. Round 17: Dalton Dulin, 2B from Northwest Mississippi CC. Slashed just .186/.277/.265 while repeating Short-A. 34/13 K/BB in 113 AB playing 2B, 0 homers, 7 SB. A huge step back for the JuCo signing, who turned 22 in May. He split time at 2B with 2016’s Jake Noll among others, and i’d be very surprised if he isn’t released next spring when he inevitably fails to make the Hagerstown squad. Trending Down. Round 18: Melvin Rodriguez 2B COL sr from Jackson State U. (MS). Released 4/2/16, presumably after not making the Hagerstown squad and likely being “behind” others at the position (others like the man just mentioned Dalton Dulin). He got picked up by the Indy league team in Joliet and played 79 games for them this year. I’m not sure if I noticed this last year, but he was *old* coming out of college. This is his second pro year and he turned 25 in February. Round 19: Clayton Brandt SS COL sr from MidAmerica Nazarene U (KS). Slashed just .179/.271/.248 in Short-A, 33/16 K/BB in 145 ABs. 0 homers, 2 SBs. These numbers are rather similar to his numbers last year in the GCL, but it isn’t like there was another high-powered middle infield star prospect pushing him; the other two “short stops” on Auburn’s roster this year were equally inept with the bat. Like others above with batting averages below .200, i’m saying Trending Down but I wonder if some of these guys will hang around into 2017 simply to fill roster spots. Post publishing update: Brandt voluntarily retired on on 12/15/16. Round 20: John Reeves C, COL sr from Rice (TX): did not sign. Despite being listed as a “College Senior” he really was a 4th year junior and opted to return for his 5th year. A quick check at Rice’s 2016 stats page shows that Reeves did not play for Rice in 2016; It does not look like he was re-drafted, nor play in any independent leagues. A curious case; if the Nats felt like it was worthy of a 20th round pick, why have we not pursued him since he’s now freely available? Unless this was a “favor pick” to someone … but a 20th round pick seems way early for a throwaway pick. Round 21: Matt Pirro, RHP (reliever) COL sr from Wake Forest. 3-2, 4.43 ERA across two levels, ending in Short-A. 17/12 k/bb in 22 1/3ip, 1.30 combined whip, 6.50 fip, .217 babip in short-A. Pirro failed to make even the Short-A team once the 2016 class was signed; he repeated both levels he played at last year with worse numbers. He struggled last year and he struggled again this year. Hard to see him here for the long term. Trending Down. Post publishing update: Pirro was released on 12/15/16, indeed a release candidate. Round 22: Adam Boghosian RHP (reliever) COL 5s from North Greenville U. (SC). Released 3/26/16 when he didn’t make a full-season squad. Round 23: Alec Rash, RHP (starter) COL jr from Missouri: did not sign. Initially it seemed that Rash was returning to school to try to rebuild his value after an injury plagued collegiate career. Word came out though in Sept of 2015 that he was quitting the team (and the sport) for good. A tough break for Rash, who passed up 2nd round money in 2012 and now has nothing to show for it. Round 24: Blake Smith RHP (reliever) COL jr West Virginia: did not sign. Returned for his “senior” year with West Virginia and was drafted by the Angels in the 29th round of the 2016 draft. He put up decent numbers for their Low-A affiliate this year. Round 25: Calvin Copping RHP (reliever) COL jr from Cal. State Northridge. Released on 3/16/16 when it became clear he wouldn’t make Hagerstown. Round 26: Russell “Rocky” Harmening. RHP (reliever) COL jr Westmont Coll (CA). 0-1, 2.57 ERA for Auburn this year. 23/8 K/BB in 28 relief innings. 1.21 whip, 3.06 fip, .294 BABIP. A nice 2nd pro season for Harmening, who improved his numbers across the board jumping from GCL to Short-A. He also apparently now goes by “Rocky.” Should make the Hagerstown pen as a middle reliever. Trending Steady. Round 27: Ryan Brinley, RHP (reliever) COL jr from Sam Houston State U. (TX). Posted a 4-3 record with a 3.55 ERA across two levels. 38/9 K/BB in 50 2/3 innings. 1.07 whip combined, 2.68 fip and .243 babip in Potomac. Brinley was a surprise performer last year and he continued his good work this year; he made the Potomac team out of spring and dominated there for two months before getting promoted to AA. There however, he struggled, giving up 14 runs and 17 hits in 11 innings, and was back in Potomac by August 1st. Presumably he’s going to try AA again next spring. Trending Up. Round 28: Mick VanVossen RHP (reliever) COL sr from Michigan State U. 4-4, 4.25 ERA across 2 levels. 50/19 K/.BB in 59 1/3 innings, mostly with Hagerstown. 1.28 whip, 4.13fip, .285 babip while in in Low-A. He bounced around in what seemed like a bunch of procedural moves but was essentially a middle reliever for Low-A all year. He had relatively solid numbers in Hagerstown and should get a look at moving up a level for 2017. Trending Steady. Round 29: Philip Diedrick OF COL sr Western Kentucky U. Released 4/2/16 after struggling in 2015 in the GCL. No surprise here. Round 30: Jorge Pantoja RHP (reliever) COL jr Alabama State U. 9-2 with a 3.20 ERA across two levels. 46/19 K/BB in 64 2/3s innings, mostly with Hagerstown. 1.15 whip, 2.67 fip, .302 babip while in Low-A. As we noted last summer, he just needed some time to show that his 2015 numbers were better than they appeared, and the team was rewarded. Pantoja went 9-1 with a 2.63 ERA for Hagerstown this year, earning a bump up to Potomac on August 8th. He struggled there, walking 9 guys in 10 innings after walking just 10 in 54 innings in Hagerstown. Nonetheless, he’s looking up and should be a solid Potomac bullpen guy (later innings or perhaps closer) in 2017. He’s playing in the Mexican Winter League this off-season. Trending Up. Round 31: Nick Sprengel LHP (starter) from El Dorado HS (CA): did not sign. Honored his commitment to the U of San Diego, where he went 3-5 with a 6.17 ERA his freshman year as a mid-week starter. Round 32: Dalton DiNatale 3B COL jr Arizona State U. Released 6/7/16; he hung around for a bit after not making a full-season squad and then got released once the 2016 draft occurred. Round 33: Angelo La Bruna SS COL 5S from U. Southern California. Slashed .246/.320/.325 between Short-A and Low-A, with 20/12 K/BB in 114 total ABs. 1hr, 2SB playing 2B and SS. La Bruna was assigned initially to Short-A, but came out on fire going 10-21 and quickly getting bumped to Low-A. There he was less effective, hitting just .194 with little power (5 XBH in 33 games). If I sense a recurring theme among these reviews so far of the 2016 and 2015 classes, its relatively zero depth in the middle infield. So I see no reason for La Bruna not to hang around another year. Trending Steady. Round 34: Tyler Watson LHP (starter) from Perry HS (AZ). 2-3, 2.64 ERA split between Short-A and Low-A. 64/15 K/BB in 58IP, 1.05 whip, 2.05 whip and .261 babip in Auburn. Watson was the opening day starter for Auburn after turning 19 in late May and had an awesome season; in 9 starts facing competition that was (on average) 2.4 years older than he was, he had a 1.88 ERA and gave up just 30 hits and 9 walks in 48 innings. His ERA jumped when he got to Hagerstown but his peripherals did not; he still struck out a guy an inning and his Hagerstown FIP was 2.87. He looks like he could be a stud. He has nothing left to prove in Short-A; I’d expect him to be in the Low-A rotation in 2017 but to have his season cut short as they build up pro innings on his arm. Trending Up. Round 35: Coco Montes SS from Coral Gables HS (FL): did not sign. Montes honored his commitment to South Florida. At USF Montes was a starter as a Freshman and slashed .218/.287/.264. Round 36: Taylor Bush SS from The Linfield School (CA): did not sign. Bush honored his commitment to Westmont College. As a freshman, got into 30 games and only had 15 ABs in a late-innings defensive replacement role. Round 37: Steven DiPuglia SS from Cooper City HS (FL): did not sign. DiPuglia honored his commitment to Western Kentucky. At WKU, DiPuglia started as a freshman and slashed .253/.323/.264. Round 38: Matt Morales SS from Wellington Community HS (FL): did not sign. Morales honored his commitment to Stetson University. At Stenson, Morales started as a freshman and slashed .250/.324/.286. Round 39: Jake Jefferies 2B COL jr from Cal. State Fullerton. Hit .208 in 24 ABs for Auburn in Short-A before being released on 7/5/16. He just never showed enough at the plate despite being chased by this organization for years (they drafted him in 2012 as well). Round 40: Parker Quinn 1B from The Benjamin School (FL): did not sign. Quinn honored his commitment to Hofstra. Quinn had no stats for Hofstra in 2016, either he didn’t make the varsity team or he was hurt. His Twitter account still reports him as being at Hofstra and being class of 2019, so i’m not sure what his status is. The 2015 class is holding its own so far, with a number of guys with promising starts and just 6 releases after two full pro seasons. Watson looks like a stud, Glover looks like a heck of a find, and the upper round picks are at least treading water thus far if not exceeding expectations (Stevenson). Here’s a fast review of the 2015 draft class, looking at their 2015 numbers and making some snap judgements. This post idea was stolen from minorleagueball.com’s John Sickels, who used to do this for nearly the entire draft class a couple of years back. It is quite a bit of clicking around so it isn’t surprising that he gave up on it. I did this kind of review a couple of years ago and may try to find time to extend it to 2015 performances of the 2014 (and earlier) classes, because its a nice way to check in on everyone all at once. Baseball America had some limited information for every kid taken in the first 10 rounds and this post expands on the BA information for our entire 2015 class all the way to round 40. The MLB Draft Tracker (which I believe is the best draft tracker out there) is the best place to get draft class information. At the end of each player write-up i’ll put in a color coded trending line for the player: Green for Trending Up, Blue for Trending steady, Red for Trending Down. This is just my knee-jerk opinion of the prospect status of the player system-wide. And yes I realize this is their first pro ball season, short-sample sizes, scouting the stat line, etc etc. So apologies in advance if you think i’m being too harsh passing judgement on a 15 inning sample size. Of course I am; what else are we going to argue about this off-season? Round 1: forfeited by virtue of the Max Scherzer signing. Would have been the 26th pick overall, which ended up being Taylor Ward, a C from Fresno State that many thought was an overdraft by the Angels but which looks pretty good in retrospect (he slashed .348/.457/.438 in his first pro season split between rookie and low-A). Knowing the Nationals’ proclivities, they likely would have taken one of two polished college hurlers here if they had the pick: Jon Harris (who went 29th overall) or Kyle Funkhouser (who went 35th overall). Also still on the board was well-regarded HS pitcher Mike Nikorak, who went just after Ward. I’m not complaining about the loss of this pick as I did with the Rafael Soriano signing; just pointing out how things could have gone otherwise. Round 2: Andrew Stevenson, OF (CF). COL jr from Louisiana State. Slashed .305/.358/.376 across 3 levels, getting promoted up to Hagerstown relatively quickly. 16/30 K/BB in 214 Abs, 1 homer, 23SBs in 55 games. Stevenson so far is pretty much what we expected; a speedy plus defender in center with blazing speed (nearly a half a SB per game), little pop but a decent bat. He had very few strikeouts (just 16 in 214 ABs across 55 games): a great trait for a guy who probably profiles as a lead-off hitter. I’d like to see better OBP though going forward. Whether this translates to MLB production eventually remains to be seen, but so far so good. Trending Up. Round 2: Blake Perkins, OF (CF) from Verrado HS, Buckeye, Ariz. Slashed .210/.265/.281 in the Rookie league, with 36/13 K/BB in 166 Abs, 1 hr, 4sbs. Somewhat disappointing debut for Perkins, who some had pegged as an even better prospect than Stevenson. We’ll chalk this up to a youngster facing pro pitching for the first time. His first full season should be telling, though its hard to see him breaking camp with a full-season squad after this debut. Odds are he’ll be in XST until June and then will give Short-A a try. Post-posting update: thanks to AndrewR in the comments section for the Baseball America 2015 Nats Draft class review link, where it is pointed out that Perkins was asked to start switch hitting this year. Well no wonder his average was so low. A quick look at his splits: .111/.122/.222 versus lefties (going just 5 for 45), .248/.316/.306 versus righties. Now, what’s kind of odd about that split line is this: he already batted R when drafted and *added* a lefty swing … so why was the slash line so bad versus lefties? You’d think the split would have been the other way around? I could not find traditional splits as a L or as a R on either fangraphs or milb.com; not sure if I just missed them or if Perkins started switch hitting later in the year. Either way, you have to give his overall split line a pass. Trending steady. Round 3: Rhett Wiseman, OF (corner), COL jr from Vanderbilt. Slashed .248/.307/.376 in Short-A with 52/18 K/BB in 210 Abs, 5 homers. Honestly, I would have expected a bit more from Wiseman, a very polished college hitter from a good program. Just 5 homers in 210 ABs? I know the NY-Penn is a pitchers league … but that’s just one homer every 42 ABs. 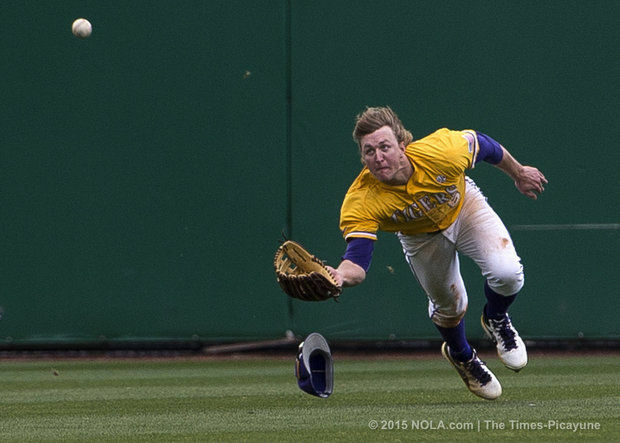 He profiled as a power-hitting corner outfielder out of college; is this what he can be? Milb.com reports that he played a lot of CF, which would be a nice little bonus if he could stay at the position. Trending steady. Round 4: Mariano Rivera Jr, rhp COL sr from Iona. 1-2, 5.45 ERA in Short-A with 26/3 K/BB in 33IP (19 app, 3 starts). 2.70 FIP, .388 babip. Rivera was tried as a starter and quickly failed, getting moved to the pen, where he was much better. Starter ERA: 13.00. Reliever ERA: 2.63. His seasonal ERA isn’t nearly as bad as it looks thanks to some bad luck; his FIP is good and his K/BB rate looks good as well. He profiles like his father; slight, live arm, good stuff as a reliever. I can see him moving up the ladder as a back-of-the-bullpen reliever. Perhaps a disappointment that a 4th round pick was relegated to the bullpen after just three starts … but could be a quick moving arm on a team that clearly needs them. Trending Up. Round 5: Taylor Hearn, lhp COL jr from Oklahoma Baptist. 1-5, 3.56 in the GCL Short-A with a 38/13 K/BB in 43ip (10/10 starts), 3.40 fip, .346 babip. (Editor note: he was in Auburn most of the year; he just started in GCL briefly).Perhaps too old to be in the GCL, but was decent nonetheless in 10 starts. Nothing earth shattering here; I would like to have seen him going against other college hitters in Short-A frankly. We’ll see what he does next year. Hearn joined his fellow lefty first 10 round starters in the Auburn rotation and was completely effective, averaging nearly a K/inning with decent control. He’s done nothing to jeopardize his advancement for 2016 and should compete for a low-A rotation gig. Trending steady. Round 6: Matt Crownover, lhp COL jr. from Clemson. 1-4, 3.81 ERA in Short-A with 34/9 K/BB in 49.2 ip (13 app, 10 starts), 3.40 fip, .301 babip. As with Hearn’s numbers, nothing bad but nothing mind blowing out of Crownover’s numbers in Short-A. Not a bad return for an under-slot ACC lefty starter. I like the 4-1 K/BB ratio. Trending steady. Round 7: Grant Borne, lhp COL jr from Nicholls State. 1-4, 3.59 in Short-A with 32/7 K/BB in 47.2 ip (15 apps, 5 starts), 2.99 fip, .321 babip. Its amazing how similar Hearn, Crownover and Borne’s numbers were, each profiling as a command/control lefty starter in Short-A. Trending steady. Round 8: Koda Glover, rhp COL sr from Oklahoma State. 1-1, 1.80 ERA across 2 levels, getting promoted to Low-A. 38/2 K/BB in 30 ip (19app), 2.44 fip, .288 babips in LowA where he spent most of the year. 38 to 2 (!!) K/BB ratio in 30 innings. That’s great. No wonder he was an over-slot deal. Glover profiled very well and should be in the mix for a High-A bullpen slot in 2016 already. Trending Up. Round 9: David Kerian, 1b COL sr from Illinois. Slashed .251/.336/.338 in Short-A with 41/25 K/BB in 195 Abs, 0 homers. Kerian signed for just $25k in the first of the Nats two big “save bonus money senior draftee” picks. Zero homers as a first baseman and a .338 slugging? That’s just not going to do it. Trending Down. Round 10: Taylor Guilbeau, lhp COL sr from Alabama. 3-3, 3.54 in the GCL mostly in Short-A with 31/9 K/BB in 51 ip (11/10 starts) .2.89 fip, .356 babip. Another senior sign, Gilbeau was 3-4 years older than his competition in the GCL yet “only” struck out 31 in 51 innings. He may struggle to find a full-season job next year (what with all the other college lefties being drafted) and could quickly find himself out of organized ball. Trending Down. Turns out, I mis-read Guilbeau’s assignment; he was in Auburn basically the entire year and his FIP looks solid based on his competition. I’m amending this report to say he’s Trending Steady based on his 2015. Round 11: Andrew Lee, RHP COL jr from Tennessee. Posted a 5-1, 1.63 ERA across 3 levels, ending up in Hagerstown. 47/10 K/BB in 38.2 innings (16/5 starts), 2.19 fip, .250 babip in lowA where he spent most of his time. An intriguing arm for sure and more than held his own in 5 Low-A starts. He’s in the mix for the Hagerstown 2016 rotation. Trending Up. Round 12: Tommy Peterson RHP COL jr from South Florida. 0-0, 2.66 in Auburn with 13/4 K/BB in 20 relief innings, 2.83 fip, .318 babip as part time closer. Not too many innings to judge on here; looks like a good option for the Hagerstown 2016 bullpen. Trending steady. Round 13: Max Schrock, COL jr from South Carolina. Slashed .308/.355/.448 in Short-A with 16/13 K/BB in 172 Abs, 2 homers. Drafted as a 2B, played mostly SS. Schrock was the big over-slot deal the team signed in 2015, getting $400k over-slot as a 13th rounder (the rough equivalent of a mid 4th rounder). He hit pretty well in Short-A in his debut too, with a good OPS figure for a middle infielder who made a ton of contact (just 16 Ks) but also needs to work on his batting eye (just 13 walks). Trending Up. Round 14: Mack Lemieux LHP from Jupiter Community HS (FL): did not sign, never seemed like he was even close to signing from articles and twitter. Committed to Florida Atlantic University (FAU). Round 15: Kevin Mooney, RHP COL jr from UofMaryland. 1-0, 5.40 ERA in Short-A with a 15/13 K/bb in 21.2 innings, 4.95 fip, .333 babip. Not a great debut for the local kid Mooney, who was last seen blowing both super-regional games that enabled UVA to surprisingly make its way to the CWS (where even more surprisingly they ended up winning). Far, far too many walks given how many punch-outs he had, his FIP was still way up there even given a BABIP not really that out of line. Needs to step it up if he wants a full-season job. Trending Down. Round 16: Ian Sagdal, SS COL sr from Washington State U. Slashed .235/.323/.327 in Short-A with 36/20 K/BB in 162 Abs, 1 homer, 1 SB. Played mostly 2B per milb.com despite being drafted as a SS. No power, little speed evident, tough season in Auburn for Sagdal. With the collection of middle infielders the Nats drafted in 2015 plus the rising DSL guys, Sagdal may not be long for the system. Trending Down. Round 17: Dalton Dulin, 2B from Northwest Mississippi CC. Slashed .273/.410/.354 in Short-A 21/18 K/BB in 99 AB as part time 2B. Not too bad for a younger guy in short-A ball. Trending steady. Round 18: Melvin Rodriguez 2B COL sr from Jackson State U. (MS). Slashed .200/.294/.282 in Short-A with 17/15 K/BB in 110ABs, 0hr, 0sb as part time 2B. Well, if you’re not going to hit for power, you need some speed. And if you can’t show speed, you should show a good hit-tool. Rodriguez didn’t show much of anything this year and may not make it out of spring next year. Trending Down. Round 19: Clayton Brandt SS COL sr from MidAmerica Nazarene U (KS). Slashed just .193/.304/.261 in the Rookie league, with a 28/10 k/bb in 88 Abs, 0 hr as SS. Not good, especially as a 22-yr old. Trending Down. Round 20: John Reeves C, COL sr from Rice (TX): did not sign. Despite being listed as a “College Senior” he really was a 4th year junior and opted to return for his 5th year. Round 21: Matt Pirro, Matt RHP COL sr from Wake Forest. 0-0 3.71 ERA across two levels, ending in Short-A. 14/11 k/bb in 17ip, 4.52 fip, .372 babip in short-A. Not great numbers; too many walks, but his ERA/FIP likely the result of a bit of unlucky babip. In a battle to stay employed though going into next year by virtue of his senior sign status. Trending Down. Round 22: Adam Boghosian RHP COL 5s from North Greenville U. (SC). 3-0, 4.28 era across 2 levels with 16/18 k/bb in 27ip, 5.59 fip, .162 babip in short-A. Anytime you have more walks than strike-outs, its a bad thing. And he posted a mediocre ERA despite an unbelievably low babip; his numbers are likely even worse with a longer sample size. Another senior sign that may get the axe once full-season rosters get set next spring. Trending Down. Round 23: Alec Rash, RHP COL jr from Missouri: did not sign. Rash has barely pitched while in College and was a better bet to try to regain some draft value by pitching a full senior season. Round 24: Blake Smith RHP COL jr West Virginia: did not sign. Listed in some places as a senior but WVU’s site lists him as a junior, so he still has eligibility and opted not to sign so as to increase his draft status with a good senior season. Round 25: Calvin Copping RHP COL jr from Cal. State Northridge. 1-2, 4.76 ERA in the GCL 14/5 K/BB in 17ip, 4.01 fip, .305 babip. So-So numbers for a college guy in the rookie league. As with his fellow middle-of-the-road senior sign pitchers, he needs to show more dominance if he wants a job out of spring 2016. Trending Down. Round 26: Russell Harmening. RHP COL jr Westmont Coll (CA). 1-0, 2.86 ERA in the GCL with 16/4 K/BB in 22ip, 3.26 fip, .303 babip. Better numbers than Copping or Pirro or Boghosian, so we’ll give him a leg up in next year’s bullpen competitions. Trending steady. Round 27: Ryan Brinley, RHP COL jr from Sam Houston State U. (TX). Was 1-4 1.44 ERA across 3 levels this year with a 16/1 K/BB in 31.1 ip, 3.85 fip, .292 babip in low-A (where he ended up). Great 27th round find so far in Brinley, who may not have a ton of swing and miss but certainly seems to have some command (1 BB in 31 innings??). Could be a nice little middle relief option going forward, someone who can keep his team in games. Trending Up. Round 28: Mick Van Vossen RHP COL sr from Michigan State U. 0-2, 4.83 ERA across 2 levels. 23/13 K/BB in 31.2 ip, 4.09 fip, .260 babip in GCL (where he spent most of the year). Nothing too special here; struggled when he got to Auburn but only had 6ip there. Needs to show a better K/BB ratio to compete next year. Trending steady. Round 29: Philip Diedrick OF COL sr Western Kentucky U. Slashed just .146/.208/.292 in the GCL with 33/6 k/bb in 89 Abs, 4 hr as LF. Not a good season for Deidrick at all, striking out a third of the time with little in the way of average or OBP to show for it. Trending Down. Round 30: Jorge Pantoja RHP COL jr Alabama State U. 1-1, 5.84 ERA in the GCL, 11/3 K/BB in 12ip, 2.74fip, .395 babip. Looks like some potential there with a K/inning and a FIP that flatters his ERA. Probably needs more time. Trending steady. Round 31: Nick Sprengel LHP from El Dorado HS (CA): did not sign. A strong commitment to the U of San Diego, Sprengel was never likely to sign. Round 32: Dalton DiNatale 3B COL jr Arizona State U. Slashed just .232/.326/.341 in the GCL 23/10 K/bb in 82abs, 1 hr, 2 sbs. I would have expected more from a Pac-12 hitter in the GCL. Trending Down. Round 33: Angelo La Bruna SS COL 5S from U. Southern California. Slashed .269/.303/.355 in the GCL with 15/3 k/bb in 93 Abs, 0 homers. Drafted as a SS but played 1B; anytime you have a 5th year senior in the rookie league who hits zero homers, warning flags go up. Trending Down. Round 34: Tyler Watson LHP from Perry HS (AZ). 1-1, 0.00 ERA and 16/4 k/bb in 13ip, 1.81 fip, .226 babip in the GCL. The Nats final over-slot signee ($300k over slot likely on top of the $100k you can throw at any post 10th rounder compensates him on a par as a mid 4th rounder), Watson did not disappoint. He’s young but he looked dominant in his first pro innings. I’ll bet he stays in XST and debuts next year on a short-A squad. Trending Up. Round 35: Coco Montes SS from Coral Gables HS (FL): did not sign. Montes honored his commitment to South Florida. Round 36: Taylor Bush SS from The Linfield School (CA): did not sign. Bush honored his commitment to Westmont College. Round 37: Steven DiPuglia SS from Cooper City HS (FL): did not sign. DiPuglia honored his commitment to Western Kentucky. Round 38: Matt Morales SS from Wellington Community HS (FL): did not sign. Morales honored his commitment to Stetson University. Round 39: Jake Jefferies 2B COL jr from Cal. State Fullerton. Slashed .241/.276/.296 in Short-A. 5/2 K/BB in 54ABs, 0 homers, 3 steals in part time MIF. Zero power. Good bat control though. The Nats have drafted Jefferies multiple times so they clearly see something in him; he sticks around for a bit even given his unimpressive 2015 campaign. Trending steady. Round 40: Parker Quinn 1B from The Benjamin School (FL): did not sign. Quinn honored his commitment to Hofstra. I like what I see out of a handful of guys, and its great to see a couple of the lower-draft pick guys pop up a bit. I want to see more out of Perkins and Wiseman in particular; their success makes or breaks this draft. The three over-slot guys (Glover, Schrock, Watsh) all performed well, indicating great use of those funds by the Nats brain-trust. The July 17th signing deadline has come and gone, and the Nats had a relatively quiet signing period. Little drama, no significant failed signings, no arguing in the press with Scott Boras, etc. Lets recap our 2015 draft class. As noted by Chelsea James in this NatsJournal piece, the Nats signed 30 of their 40 picks, including all their top ten and 18 of the top 20 picks. They saved roughly $700k of their top10-round bonus pool, only having to go over slot for one top-10 round pick (Koda Glover, who perhaps not coincidentally was the first 2015 draftee to be promoted to full season ball), and transferred that bonus savings to two big over-draft picks in later rounds (13th rounder Max Schrock and 34th rounder Tyler Watson). This essentially meant that they were able to acquire the equivalent of an extra 3rd and an extra 4th rounder thanks to bonus savings. Here’s a cut-n-paste from my 2015 draft tracker spreadsheet (google link here, which includes more details and twitter accounts for the draftees). Red == did not sign. *==lefty, #=switch hitter. Round Name/Position Col/HS School Signed? 2 Perkins, Blake OF HS Verrado HS (AZ) signed for $800k, $93k underslot. 3 Wiseman, Rhett* OF COL jr Vanderbilt signed for $554k, exactly slot. 4 Rivera, Mariano Jr. RHP COL sr Iona (NY) signed for $410k, exactly slot. 6 Crownover, Matt LHP COL jr Clemson signed for $160k, 70k under slot. 7 Borne, Grant LHP COL jr Nicholls State (LA) signed for $150k, 27k under slot. 8 Glover, Koda RHP COL sr Oklahoma State signed for $200k, 34k over slot. 20 Reeves, John C COL sr Rice (TX) Why didn’t he sign? 24 Smith, Blake RHP COL sr West Virginia Why didn’t he sign? 14th rounder Lemieux was a tough sign, committed to Florida Atlantic, probably couldn’t get enough money to make it worth his while to forgo college. 20th rounder Reeves has college eligibility left despite being a senior; I originally had assumed he was signing. Looks like he returns to Rice and is a 5th year senior. 23rd rounder Rash barely pitched this year and from what I read has really struggled in his college career. He made sense to go back for his senior year to build value. Coming out of HS he was a decent talent. 24th rounder Smith was listed in some places as a senior but is listed as a junior on WVU’s website. It makes sense for him to return for his senior year and build value. 31st rounder Sprengel is committed to U. San Diego. High Schoolers picked in rounds 35-38 (Montes, Bush, DiPuglia and Morales) are committed to respectively South Florida, Westmont, Western Kentucky and Stetson, all opting to go to school. 40th rounder Quinn is commited to Hofstra. Schrock in the 13th round, though he got paid like an early 3rd rounder. So perhaps it isn’t that big of a surprise. Watson in the 34th round, though again he got paid like a mid 4th rounder, so maybe it isn’t that big of a surprise either. DiNatale and Jefferies both signing despite being such low picks; both were college juniors at big programs who could have gone back to school. Somewhat surprising picks. Given that any bonus figure below $100,000 in the 11th round or later does not need to be reported, it is possible that both guys got $100k (which is about equivalent to a 10th round pick) and opted to sign. That the team signed *any* of the guys it picked in rounds 31 and above; they got 4 of the 10. Was this a “good” or a “bad” draft? I was on record quite clearly that I thought our 2014 draft was a failure. This led to my posting a huge missive doing analysis on *every* draft class and determining whether it was a failure or a success. I’m still not sold on 2014 a year onwards; Fedde is going to have to turn into an all-star to make up for the rest of the deficiencies of the class. So how does the 2015 draft class look? Unfortunately, in my mind, probably not too great either. We had no 1st rounder. Our two second rounders both project as good field/no hit center fielders (thought to be fair, Stevenson is hitting .360 in Auburn). I like Wiseman but he has holes in his swing. Rivera has gotten shelled so far in Auburn. I think the team got some good deals on Glover, Schrock, and Watson. Some of the college arms are really looking good at Auburn (Bourne, Peterson, Gilbeau). So we’ll see. Good links for the draft: that i’m constantly using. PerfectGame.org; the best place to look up prep kids. Where do we stand on our signees? 2 Stevenson, Andrew* OF COL jr LSU not yet signed; just gone done playing in CWS. 2 Perkins, Blake OF HS Verrado HS (AZ) signed for $800k, $93k under slot. 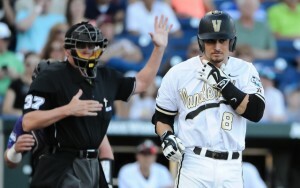 3 Wiseman, Rhett* OF COL jr Vanderbilt not yet signed; still playing in CWS. Total savings from top 10 picks: $93k + $37k + $70k + 27k – 34k + $130k + $124k = $447k of savings before Stevenson/Wiseman go. My intuition is that Stevenson signs for under slot and Wiseman for slightly over slot. What about the rest of the draft? What have we heard? As I was writing this post, WP’s James Wagner reports that the Nats have signed 23 of their 40 picks. But his post included no details Who else do we know about? From the MLB Draft Tracker, and per the Nats Draft Tracker XLS, here’s the rest of our draft and signing status. If 8 of the top 10 have signed, that means another 15 from rounds 11-40 have signed. Lets do some sleuthing. Picks 11-30 included ten 4th or 5th year seniors; I’m going to assume they’ve all already signed at this point (they have no leverage and can either choose to sign for whatever the Nats give them or opt to go to indy ball). 16 Sagdal, Ian* SS COL sr Washington State U. 28 Van Vossen, Mick RHP COL sr Michigan State U. 29 Diedrick, Philip* OF COL sr Western Kentucky U. 11th rounder Andrew Lee has signed per his twitter page. 12th rounder Tommy Peterson has signed per his twitter page. and 17th rounder Dalton Dulin has signed per this link. So that’s your 23 of 40 so far. I’m guessing that the team doesn’t sign any of the players taken in rounds 31-40 (with the exception of 5th year senior 33rd rounder Angelo La Bruna), since they’re mostly high schoolers, so in reality their target for signing is really 31 players. So they’ve signed 23 of the 31 they could expect to sign. If anyone has heard anything else about potential signees, chime in.